DeSimone Quality International is proud to sell, implement and support Q-DAS. 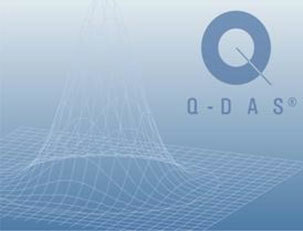 Q-DAS is an internationally active software company specializing in the computerization of statistical procedures with headquarters in Weinheim, Germany. All software programming is performed at the headquarters. The company’s main focus is on quality management applications. It is in this context that the qs-STAT and procella software packages were developed. Our programs support the current international standards, as well as relevant industry standards and guidelines. This allows practitioners to quickly find their place in their daily work, enabling them to evolve customized solutions. Results can be professionally presented, using a number of different formats. Another important area of activity for Q-DAS is training. Apart from seminars, user meetings and forums about current statistical issues, Q-DAS delivers training courses, either in-house or at the customer’s site. The Q-DAS statistics training has a modular design and can be tailored to suit the course participants’ duties and prior knowledge. Computer use enables efficient and job-related knowledge transfer. Apart from software programs, we also provide training manuals, case studies and a statistics glossary on CD. Leading educational establishments offer our training courses under license. We are also happy to provide consulting services relating to statistical quality management issues, perform analyses and provide project support.